Take the mystery out of waxing with insider tips and suggestions from a professional waxer. Written for the woman who is just beginning her journey into waxing as well as those who have some experience. This eBook is approximately 100 pages of information that no one else is sharing. 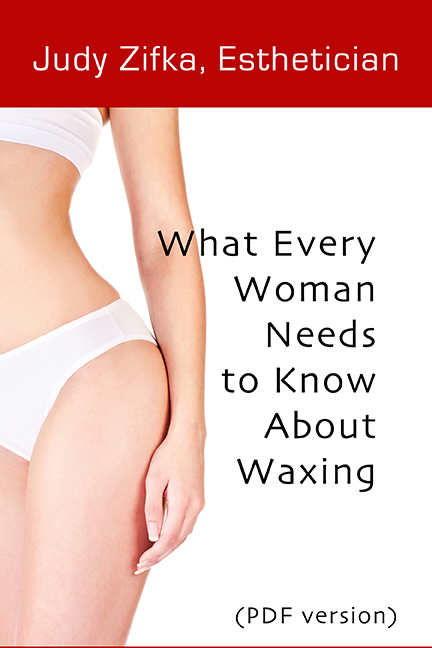 What Every Woman Needs to Know About Waxing covers everything from how to find a waxer you can trust, what to expect at the appointment, how to take care of your skin afterwards, what to expect from a Brazilian wax, and so much more. There are mistakes that can be made when you first start waxing, but you won't be making them after you read this book. You will be a savvy customer who knows how to ask the right questions and get the best waxing experience. For only $4.99 you can jump far ahead of others on the learning curve of waxing.